Professional Audio Mixing is basically two steps: EQ and Compression. Different instruments require different compression scenario. To those that do not know what is compression, it is all about controlling the peaks of recorded signal. 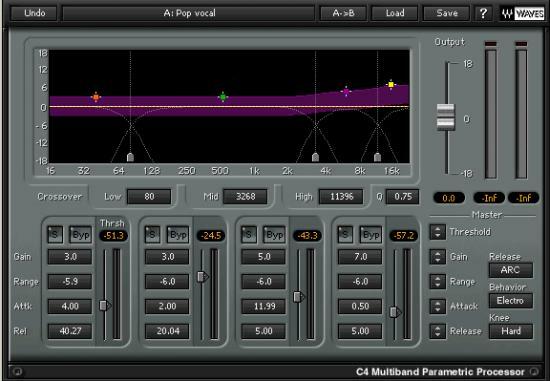 The easiest way to understand how compression can be useful to a mix is vocals. Vocalist even professionals have tendency to sing very loud in some portions of the song. Now without compression, this vocal track could be very annoying. Compression sets balance by automatically compressing signals when it reaches a certain level. It is important that by applying the suggested settings in this tutorial; you know how a compressor works. As well as its parameters like the threshold, compression ratio, attack time and release time. a.) Beginner tutorial on Audio Compression– illustrates the most basic function of a compressor in handling input audio signals. b.) Understanding attack and release – illustrates the technical details behind these important parameters. 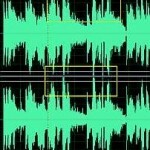 c.) Dynamics compression implementation -an example tutorial on the use of compressor basics on Adobe Audition 1.5. Concepts on this tutorial can be applied to any DAW software. My major rules in compression is simple, compression takes away signals and sound quality. It is a fact, that if overdo it will drastically reduce the power of the sound. 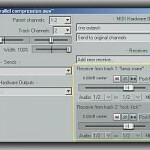 Now let me give you my tips on compressing common instruments in audio tracks. I use the presets of Sony Wave hammer-Voice settings. This plugin is available in Sony Creative Sound Forge 10. If you have this installed in your computer, since this a Direct X plug-in, it can also be added to Adobe Audition or other DAW that accepts Direct X plug-in. Take note that attack time is very short, it is because vocals is highly transient in nature, the notes of the vocal is very short, so to capture effective compression in vocals, one must set to short attack time. The release time is a bit slow. It is because when a vocalist sings loud portions of the song, it will tend to last a longer time as well. It is an odd song to have a very short loud portion of the vocals. Threshold of the compressor is the level of the signal at which compression starts. For vocals, I need it to set to -10dB because more than -10 dB in vocals is already very dominant in mix. The compression ratio is 5:1; this means a five times reduction in the signal when it reaches -10dB or above. Now that’s a bit compression to lower the volume of the loud peaks. Of course, if you do not have a wave Hammer compressor then you can use any compressor (even free compressor, make sure though it sounds good) in your DAW mixing software. Then start with the settings provided previously (threshold, compression ratio, etc). The above setting is not a one-fit-all solution for all vocal mixing. You still need to use your ears to do some adjustments. The common scenario is to have a threshold set too high or too low for the vocals you are currently mixing. So start adjusting the threshold first before the other settings such as compression ratio, attack and release time. Currently today, I am mixing vocals using Waves C4 plugin. 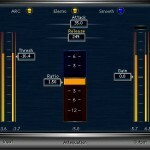 It is currently a very reliable plugin and takes away a lot of guesswork in the adjustment of threshold, ratio, etc.